In this independent, multicentre post-marketing study we directly compared the effectiveness of natalizumab (NTZ), fingolimod (FNG) and self-injectable drugs (INJ), in non-responders to first immunomodulating treatment and in highly active treatment-naïve patients with multiple sclerosis. As main outcome measure we considered the proportions of patients with no evidence of disease activity (NEDA-3), defined as absence of relapses, disability worsening and radiological activity. 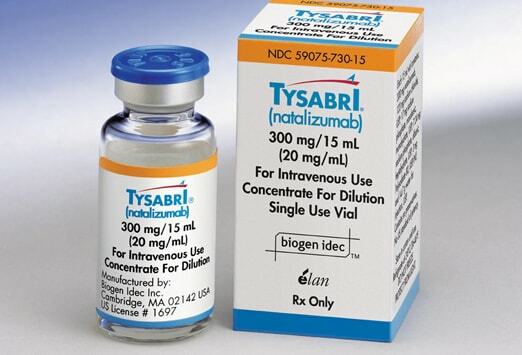 A total of 567 non-responders to interferon beta (IFNB) or glatiramer acetate (GA) [dataset A] and 216 highly active treatment-naïves [dataset B] were followed up to 24 months from the beginning of NTZ, FNG or INJ, i.e. switching from IFNB to GA or vice versa (in the case of non-responders) or starting high-dose IFNB (in the case of highly active treatment-naïves). Propensity score matching in a 1:1:1 ratio was used to select only patients with similar baseline characteristics, retaining 330 and 120 patients in dataset A and B, respectively. In dataset A, the 24-month proportion with NEDA-3 was greater in both NTZ group (67%) and FNG group (42%) than in INJ group (35%) (p ≤ 0.016); however, NTZ was superior to FNG in promoting the attainment of NEDA-3 status (p = 0.034). In dataset B, the 24-month proportion with NEDA-3 was greater in NTZ group (75%) and FNG group (67%) than in INJ group (40%), but the small cohort sizes most likely prevented the detection of any statistically significant difference. Our study provides real-world evidence that NTZ was more effective than both FNG and INJ in non-responders, while it could seem that, in highly active treatment-naïves, NTZ was as effective as FNG and both were superior to INJ. So yet more evidence that there are more effective drugs than the CRAB drugs and it suggests that failers on first line drugs are more likely to fail second line drugs that in you use the active (Second) line drugs from onset. What more evidence do we need to get disease under control ASAP.